When mercury amalgams are removed, the correct mercury amalgam removal protocol should always be followed. During the removal, you are exposed to a significant amount of mercury, mostly in the form of mercury vapour. Dr Hal Huggins, the ‘father’ of mercury amalgam removal, insists on the importance of a rubber dam. This is used, not only to prevent swallowing of mercury, but also to protect the tongue and mouth which are exposed. However, most dentists do not like the rubber dam because of the extra time it takes to apply and will usually say that you do not need it for that reason alone. This is dangerous and unethical advice, and you can see why in the pictures below, where you can observe just how much mercury is released in a ‘powdery storm’ when each amalgam is drilled out. You need a rubber dam with every amalgam removal. Do not be persuaded otherwise. The dentist has little control over where mercury goes and much will be missed by the suction device. Mercury vapour can still diffuse through the rubber dam, but the larger pieces will not. 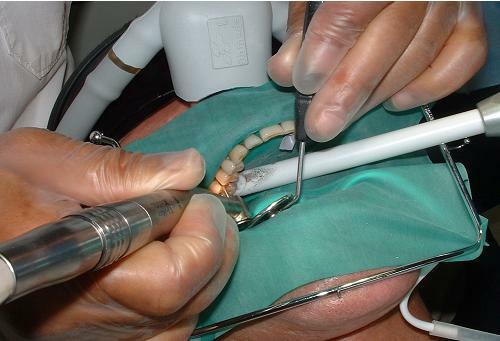 If any dentist tells you that a rubber dam is NOT necessary, please show them these pictures. 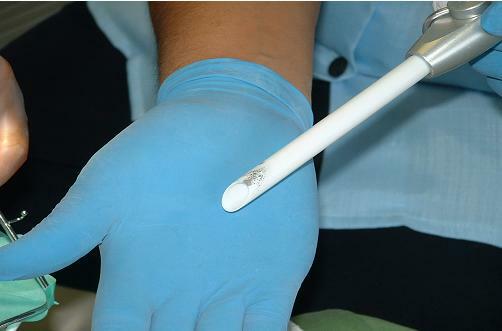 The IAOMT (International Academy of Oral Medicine & Toxicology) now also supports the use rubber dam. 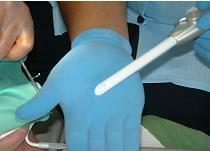 Make sure you read the tips on how to prepare for dental appointments, standard or otherwise. It will explain some precautions that you can take e.g. taking Activated Charcoal 15 minutes before your appointment to soak up any swallowed mercury particles.